Today we are Q&A-ing with Rachna Agrawal, one of the talented young women in my ASICS Running Club. 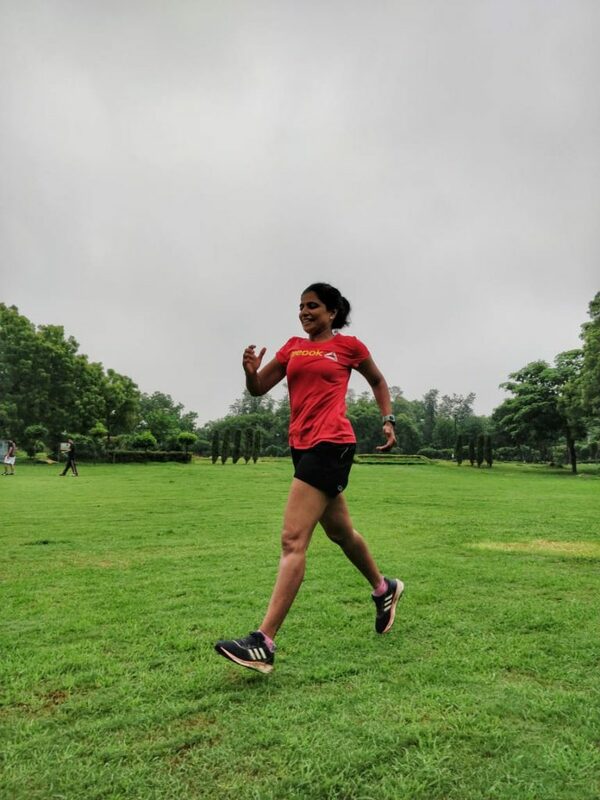 Rachna, you see, is not only a consistently good runner, she is also a fabulous yogini, often leading our post-training stretching sessions. You remember the format of this Q & A by now? So, let’s hear why Rachna runs, shall we? Q. Why do you run? A. Running over a period of time has become a major part of my life. It started with a desire to be fit with a fun factor. I’m a social freak and like to make friends. Though I have been into yoga for quite sometime, the only factor that I didn’t find in it was the fun factor. Being with friends and chatting with them at 5 o’clock in the morning – that kind of fun! A. I started running about 3 years ago, when I ran alone, and just before events. I really started formally 2 years ago. A. I initially started to run with music, but since I have joined the running group, I love the rhythmic sound of my friends’ feet matching with mine…their illogical but interesting chats…this fills me with energy & I start my days actually happy. Now, how lovely are Rachna’s answers? “...illogical but interesting chats...” and my absolute fave “ I want to grow old with it, and register with my grandchildren for ADHM.” Rachna, those are such lovely words!